Cheap Weekend Fun in Boston for January 24-25, 2015! 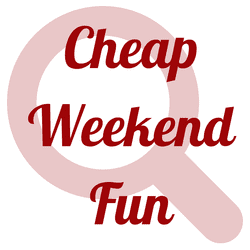 There’s a lot of fun and cheap things to do in Boston this weekend and here’s a few ideas! As always, please leave a comment below if I missed any fun and free events this weekend! Taste of Chocolate Festival Harvard Square: January 23-25, 2015 at Harvard Square. Enjoy free chocolate samples, discounts and deals, special events and more for this 5th Annual Event! The Greater Boston Food Bank Brunch for a Cause: January 24-25, 2015 at participating Boston restaurants. Participating restaurants are donating their time and services to host brunch this weekend and proceeds will benefit the Greater Boston Food Bank. Fire Puncher Day: Saturday, January 24, 2015 from 4-7pm at Redbones in Somerville. Celebrate Fire Puncher Day with Fire Puncher Vodka and specialty cocktails. Arrive on the early side to receive free apps. The Boston Home Show: January 24-25, 2015 in South Boston. Learn about the latest products and services for your home. Free admission. Don’t forget you can get FREE TACOS this month and next on Saturdays and on Sundays you can get a FREE BRUNCH if you are willing to sing a little Sunday Karaoke!